Gruevski governed the country for ten years until he lost power in 2016 due to his never-ceasing scandals. 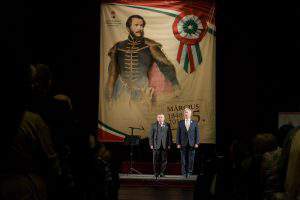 He was particularly close to Viktor Orbán who even supported Gruevski’s campaign. Their bond is still so strong that this autumn, just before the referendum, Orbán sent a video encouraging the opposition supporting Gruevski to protest. This means that as a leader of a NATO- and EU-member country, he opposed the Macedonian government legally in power that wants European integration – reports 24. Lots of unbelievable details have been revealed about Gruevski’s government. Besides corruption charges, it was the massive illegal bugging of people that led to his loss of power. Gruevski was found guilty in court for another reason though. In 2012, he meddled in the outcome of the public procurement of a bulletproof Mercedes. 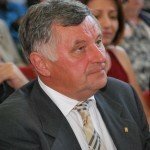 The car dealer that ended up winning later paid commission to him and the ex-PM occasionally used the luxury vehicle worth 200 million HUF (64 639 656 187 EUR) for personal reasons. 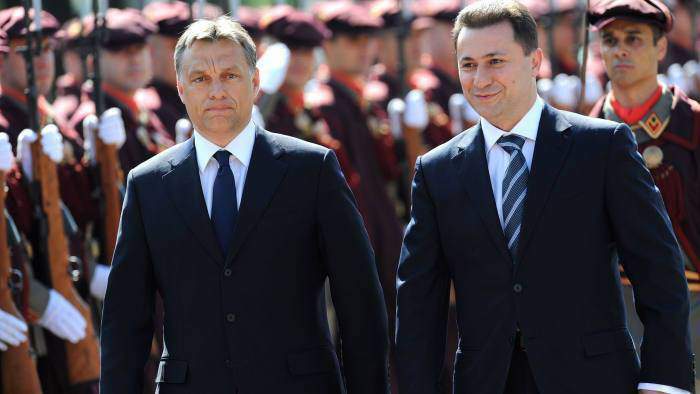 How did Gruevski get to Hungary? Nobody knows. Both his regular and diplomatic passports were confiscated, so he could not have crossed the border legally. It is unlikely he got on a plane, especially since there was only one flight between Skopje and Budapest in the past few days. It is said that he crossed the border by car, getting around the control booths and arriving in Hungary through Serbia. A Macedonian paper actually joked that he must have dressed as a woman to get across the border, although some people took this seriously. If he did come through Serbia, that suggests that at least the Hungarian but most likely the Serbian government as well knew about this arrival and helped him get across the border illegally. Since the southern border is guarded by police forces right next to the fence, it is unlikely anybody could pass by in a car without being noticed. It is just as unlikely that he just showed up at the Hungarian authorities completely out of the blue. This makes it almost a certainty that the Hungarian government helped a refugee illegally cross the border. 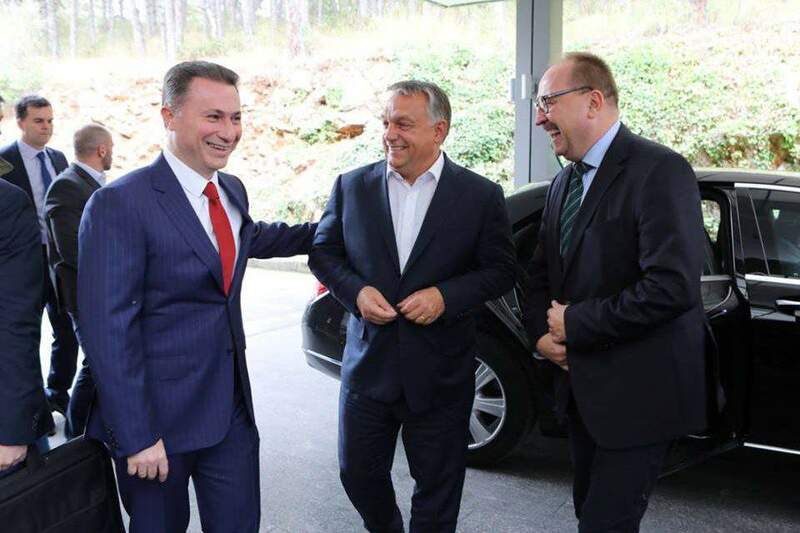 According to Index, an Albanian newspaper has now confirmed that Gruevski crossed the Albania-Montenegro border on Sunday, November 11th, in a car that seemed to belong to the Hungarian embassy in Tirana. The embassy neither denied nor confirmed that Gruevski had spent a night there. 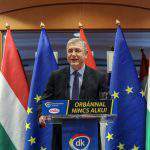 Although Gergely Gulyás stated on Thursday that Hungary had nothing to do with Gruevski fleeing Macedonia, several newspapers abroad confirmed that he did cross the border with his own papers in a car with the Hungarian embassy’s licence plate. 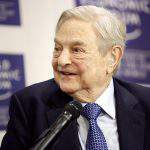 An interesting fact is that Gruevski’s government blamed Mr Soros way before the Hungarian government did, for being the reason behind the opposition protests, and claiming he wants to divide Macedonia up between the neighbouring counties. Nobody knows this either. News circulated that he arrived in Budapest on Friday and stayed at a 5-star hotel. However, a Macedonian news outlet came to Hungary and asked whether it was true the former PM was hiding in PM Orbán’s home. This was dismissed by the PM’s PR officer. Is Gruevski a refugee then? Technically yes, although it has not been confirmed yet. Seeking asylum has a different course of events since the ‘Stop Soros’ laws. 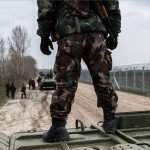 If somebody comes from a safe and secure country, such as Serbia, they get immediately sent back to the other side of the border. If they cooperate and leave on their own, they lose the right to seek asylum again anywhere in the EU. If they do not cooperate, they are still sent back, although Serbian border control rarely accepts that, so the asylum seeking automatically starts in Hungary. This is something the Hungarian government is trying to keep from becoming common knowledge since if refugees do not know Hungarian procedures that well, they can get tricked. In Gruevski’s case, the procedure supposedly has started already. He can expect an answer in about 15 days. It is also interesting that, as a refugee whose application is being processed, he should be waiting in the transit zone just like any other refugee. However, the Hungarian government does not seem to care in this case. This depends on a lot of factors, mostly on what he says during the procedure ( also on what PM Orbán wants, to be honest). Macedonia is a safe country and Gruevski did not flee because of prosecution for political or religious reasons. He has fled to avoid prison, and if it were anybody else, his application would be rejected. 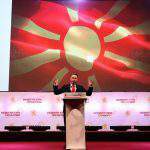 Gruevski said that he had received death threats since being sentenced to prison. Whether Hungarian authorities find this reason sufficient enough to give him asylum is a question for the future. PM Viktor Orbán has to choose between the East and the West. Macedonia and Montenegro are the last countries on the Balkan that could become NATO countries. Russia would like to prevent this from happening. The decision is up to Orbán whether he is prepared to stand up for Gruevski in front of the whole world and save a politician who is favoured by Russia from his due prison time. For more news, check out what Hungarian residents have to say about the California wildfires. NextRisk of overvaluation on Budapest home market climbs!